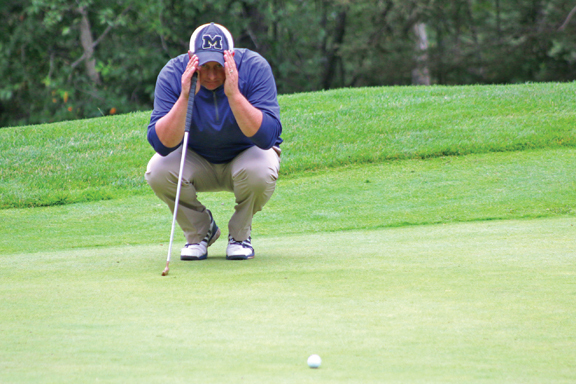 NORWAY — Carney’s Hunter Eichhorn attacked Oak Crest Golf Course and emerged with the first-round lead Tuesday in the 104th edition of the Upper Peninsula Golf Association Men’s Championship. 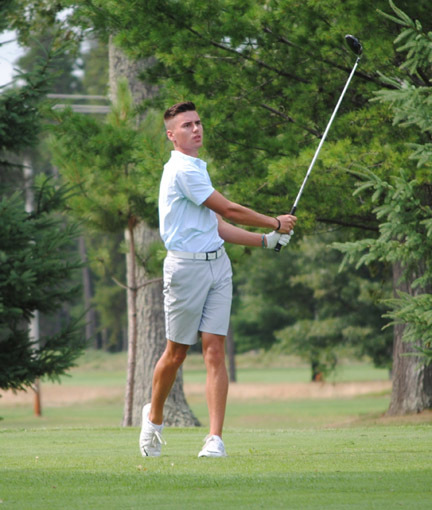 Eichhorn tallied an 8-under-par 64 to take a three-shot lead over Kyle Pouliot, a 2016 graduate of Gladstone High School who will be a junior on the Northern Michigan University men’s team this fall. Eichhorn recorded an eagle on the par-4, 316-yard second hole and added seven birdies while bogeying No. 15. Eichhorn’s tee shot on No. 2 wound up inches off the green and pin high, setting him up for his eagle. Stein shot a 1-under-par 71 to stand sixth, a year after he defeated Baraga native John “Gus” Koskinen in a playoff for the 2017 title at Wawonowin Country Club in Champion. Eichhorn carded 30 on the front nine. Pouliot posted 34-33 for his 67. Norway’s Mike Solda and Chad Tirschel joined Iron Mountain’s Nick Markell at 68. 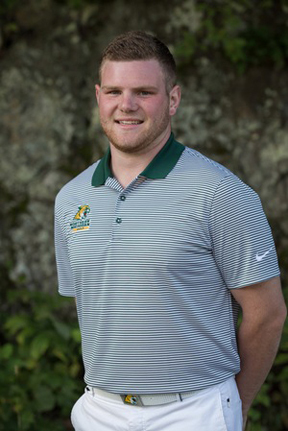 Stein, a 20-year-old Saginaw Valley State University golfer who just completed his freshman year there, took a test there Monday and drove back to Houghton that day. But he didn’t blame the travel for shooting a 38 on the front nine. “On the front I wasn’t hitting greens in regulation,” Stein said. “I made a few bogeys that were costly. Following today’s second round, the field of 102 golfers will be pared to nine flights. The top 12 golfers will be placed in the championship flight to continue stroke play. “It was pretty solid,” Eichhorn said of his round. “I missed a couple good looks that I didn’t want to miss but that happens. • Oak Crest Golf Course, bidding for its first U.P. team title since 1978, got a boost with Eichhorn on the roster.